January 25th-27th or May31st-June 2nd. For commuters, $460 per athlete. No partner required. All training camp attendees the tournament fee is included. Limited to 50 players. For qualifier only, $50 per player, limited to 50 teams. Overnight options available. Sunday Afternoon Parking for Tournament: $10 per vehicle. 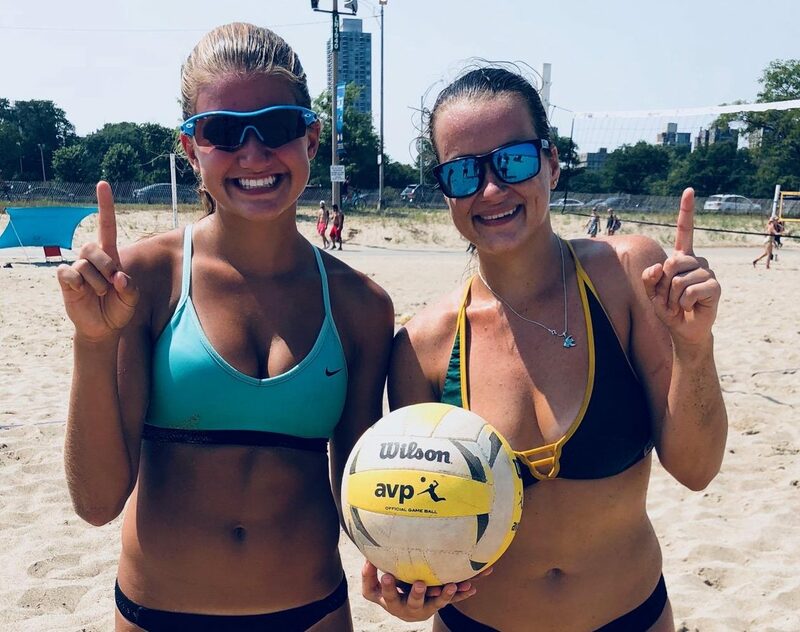 All players must be current AVPAmerica members. If you need to register with AVPAmerica, click here. Overnight players will be staying at a local hotel for meals and accommodations, all camp activities, on an off court, training sessions will be at Bishop McLaughlin High School. 1. Practice apparel and all related gear, except volleyballs. 1. Approximately 10 days before the event start date, we will send out via email waivers, camp details, staff contact information, detailed camp schedule, drop and pickup times, etc. All waivers must be received by Event House Staff before a player can participate. 2. Player locations will be provided through out the event and managed by the Event House Staff. This staff is comprised of athlete parent volunteers and on-staff personnel. Event House Staff, who are not college coaches, will oversee logistics, emergencies, and off-court activities. A more detailed description is available upon request. 5. Recreational time will be allotted and overseen by the Event House Staff. Camp policy will be that all players must stay in groups and are required to maintain communication with Event House Staff. If players would like to do an activity outside of the camp, they must have a waiver signed by parents or guardians before the camp starts. 6. A Zero Tolerance Policy, related to visitors, alcohol, drugs, etc. will be maintained for players during the entire event. If a violation occurs, the player’s parents or guardians will be contacted immediatly and the player will not be able to participate from that point forward and no refunds will be issued.